Tonight The Globe was buzzing with joyous anticipation of Band of Friends hitting The Globe, Cardiff as part of their current tour, they truly are a celebration of the music of Rory Gallagher. First a local band Glas had the task to open and get the throng’s attention, this they did with their valley take on blues with a country twang; ever popular in pubs and clubs in the area they showcased tracks from their album, From The Blues To Your Shoes and certainly got the attention of many. 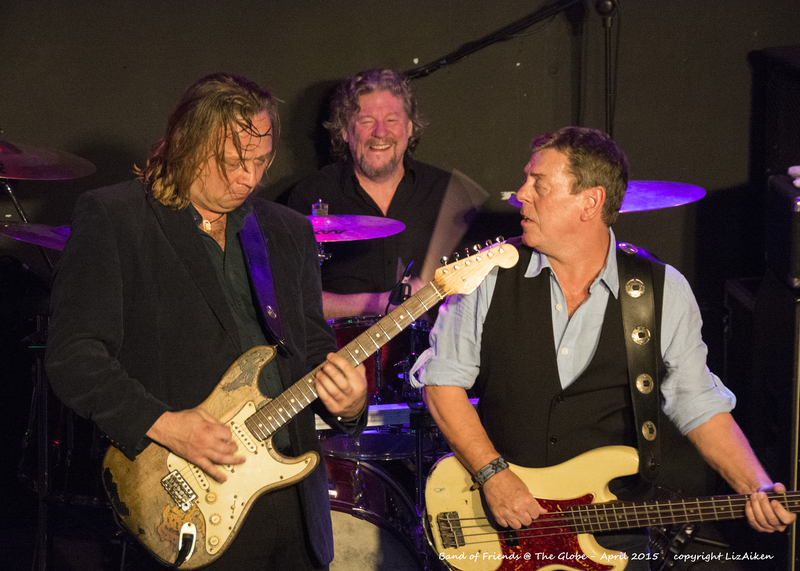 Band of Friends bounced on the stage with rapturous cheers, this is no tribute band this is a trio who bring the heart and soul of Rory’s music to audiences in clubs and festivals and mix the music up with their own material. With The Band of Friends; there are two members who played with the great man himself, energetic bassist Gerry McAvoy and drummer Ted McKenna have the rhythm and beat that made Rory so fabulous as he flew with the guitar. 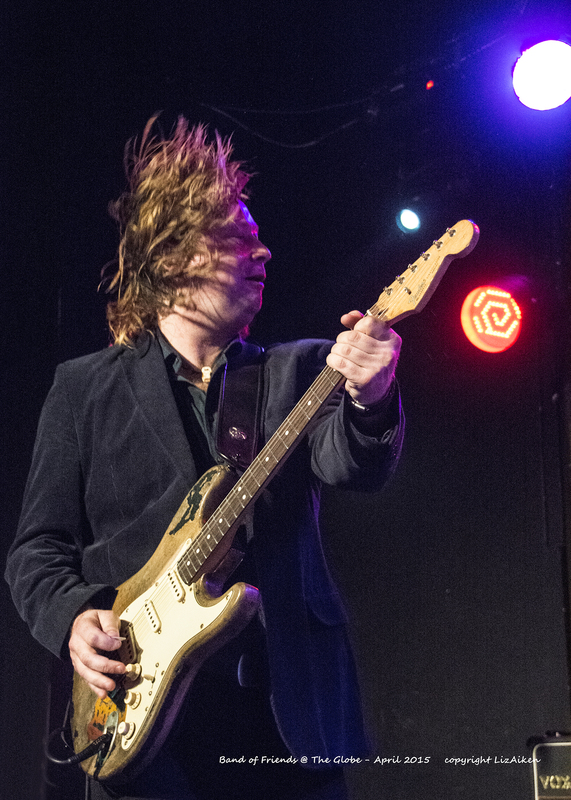 Dutch guitarist Marcel Scherpenzeel fronts the band with stylish guitar playing and vocals that make every song sing and the interaction and energy between Marcel and Gerry makes this into a show of verve and drive. Marcel brings to the band not a Rory clone but a guitar player that is on fire, inspired by Rory he captures the essence that made him so loved and twists it around the strings and delivers songs we all love to sing along to the night was rocking right from the off. concert that was loud and appreciated by the many loyal followers who remember and love Rory Gallagher’s music the beat was infectious and the music from their latest album Too Much Is Not Enough blended into the mix. As Gerry has said; Too Much Is Not Enough is a line in the sand for us. We’re always going keep Rory’s songs alive – but we’re creative artists too and it’s time to make that point;” and what a valid musical point. The old favourites were sung we were exhaulted by Gerry to clap, sing and wave our hands in the air and from the first note everyone was happy to do so as live performance energy flowed off the stage and around the venue. 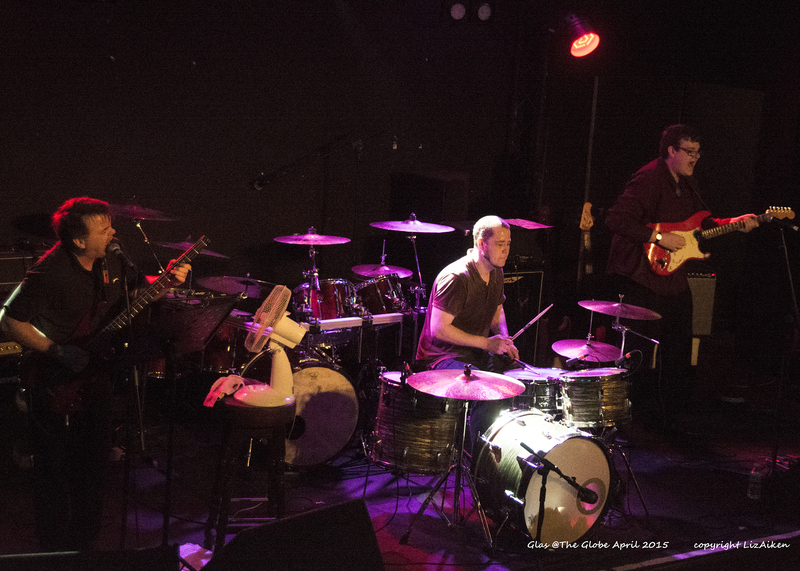 We heard well-known tracks including Calling Card, A million Miles Away and many more it was a set list that kept everyone entertained wanting to hear more and more. The audience had the liveliness and enthusiasm for the band to play on and on in fact long after the last note of the tumultuous encore died away. Live music that engages that sums up the Band of Friends, they love to play and love the reaction of the audience it was a happy rocking night tonight. Together they transcend a mere tribute act and have now released a collection of their own songs.